On June 27th The Flaming Lips will oversee VH1’s O Music Awards – the world’s first 24-hour livestreamed awards show – and play concerts in a Guinness World Record setting 8 different cities in one day (breaking a record held by Jay-Z). The Lips have been preparing numerous songs they’ve NEVER performed in concert for these webcast shows, among them: “This Here Giraffe” (from 1995’s Clouds Taste Metallic), “It’s Summertime” (from 2002’s Yoshimi Battles the Pink Robots), “The Rain Song” (1973 Led Zeppelin cover) and tracks from their new Heady Fwends collabs album. They’ll also be joined for once-in-a-lifetime performances by a wide range of peers including Jackson Browne, Neon Indian, Grace Potter and the Nocturnals, New Fumes and Phantogram. UPDATE All the unbeleivable rumors are coming true. Links to watch last night’s performances – including “Be My Head,” “The Song Remains the Same” with Grace Potter, and “It’s Summertime” – are marked in red printed updates (under the “what to expect” sections, written last week). Click here to read more about the Guinness World Record, The O Music Awards and how to vote – plus see a complete list of nominees (including both The Flaming Lips and Wayne Coyne). Read about The Flaming Lips intentions for their record-setting 8-shows-in-24-hours (in Wayne Coyne’s own words) – plus stream the band’s newest release – here. In addition to watching all 8 shows (and the rest of the 24 hour award show) live at omusicawards.com (with accessibility for mobile and tablets), you can also follow the Lips on their trek via photos and commentary from fans on a bus trailing the Lips posted in real time to this blog on June 27-28th. 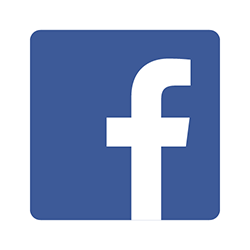 From now though the live-blogging post, previews and the latest updates will be posted at facebook/TheFutureHeart and twitter/FutureHeartDay. What To Expect: Among other weirdness, The Lips will live début both Yoshimi classic “It’s Summertime” – a fitting start to the tour given the date – and their Heady Fwends collaboration with New Fumes, “Girl, You’re So Weird.” As for New Fumes – fresh off touring all three legs of Polyphonic Spree’s comeback tour – his “paranoid soundscape” interpretation of Richard Strauss’ “Also Sprach Zarathustra” (aka the epic theme music in Stanley Kubrick’s 2001: A Space Odyssey) from New Year Freak Out #5 is a possibility. So are Future Heart favorites like “Teeth of the Sun” and “Intrusion” (watch both and the rest of New Fumes’ set from his Tulsa show with the Lips last September here). UPDATE This prediction was spot on. Watch The Flaming Lips perform a pair of gems released almost exactly one decade ago: “It’s Summertime” and “Do You Realize???”. “Girl, You’re So Weird” totally rocks live! A stream is forthcoming. There was also an official kick-off by the Memphis’ Mayor – watch here. Who Will Join The Lips: Gary Clark Jr and Hour of the Time, Majesty Twelve (aka HOTT MT, otherwise known as the “LA weirdos” that showed up at Wayne Coyne’s doorstep on his birthday). What To Expect: Gary Clark Jr’s blend of blues power, soul singing and rock six-string heroics have been heating up festivals in 2012 (watch him at Coachella, Hangout and Bonnaroo). Just miles from the infamous Highway 61 and 49 crossroads (where Robert Johnson allegedly sold his soul to the devil in blues lore – and nearby the former homes of Son House, Ike Turner and Sam Cooke), expect this show to be more than warmed-up by Clark by the time the Lips make their entrance…. Wayne Coyne confirmed HOTT MT will collaborate with the Lips, but hasn’t specified material. “Be My Head” – which hasn’t been played since 1994 – is rumored to be played. Also, HOTT MT wrote and recorded their single “Never Hate Again” with Coyne. So there’s that…. ** UPDATE The rumors were true: HOTT MT joined the Lips for “Be My Head” and “2012 (You Must Be Upgraded).” Watch the former here and Gary here. Where It’s At: Clarksdale, MS at Ground Zero Blues Club (TRIVIA Across from the city’s Delta Blues Museum, this restaurant/ club is owned by Morgan Freeman). ** UPDATE Again, all the rumors were true. Watch Grace and the Lips play “Song Remains”… “Rain Song” is forthcoming. Who Will Join The Lips: Jackson Browne and young country singer Hunter Hayes – how’s that for a Flaming Lips opening line-up! What To Expect: Jackson Browne and his friends The Flaming Lips both played This Land Is Your Land – A Woody Guthrie Centennial Concert this past March. Although the Lips haven’t given any hint what they’ll play at this show, it’s possible the Woody songs they arranged especially for their Guthrie tribute set will get a second airing – including “Along the Rain and the Sun” with Jackson Browne. It’s been rumored the Lips will play “These Days” – a Browne song first recorded in 1967 by Nico, and later popularized by Gregg Allman and Jackson himself. There’s also the possibility of Heady Fwend cut “Ashes in the Air,” with Browne singing Bon Iver’s part. Either way, it’s confirmed the Lips are playing with their buddy Jackson. Why: Hayes is a Lips fan (he recently told O Music Awards, “I love the fact that we’ll be on the same bill…such a cool mashup of musical corners of the world“). But is Hayes a Woody Guthrie fan? Maybe we’ll find out…. Why: “Breathe, breathe in the air don’t be afraid to care…” Also, this may be one of your last chances to see Neon Trees for a while: drummer Elaine Bradley is about 7 months pregnant (and amazingly still up for touring). What To Expect: We know Linear Downfall recently finished recording their new album (with Wayne and Kliph by their side). We also know they will play two unspecified songs with the Lips on June 28th. We think one of them will be King Crimson’s “21st Century Schizoid Man” (which the Lips played for the first time in concert last week with Deerhoof, and which Linear Downfall stayed up all night on March 21st to record at The Flaming Lips’ Pink Floor Studio). Other than that, your guess is as good as mine …. Yes, in a nod to the Lips’ 24 hour bus tour the legendary frontman of The Who may join the Lips on a version of his classic “Magic Bus” – schedules permitting. 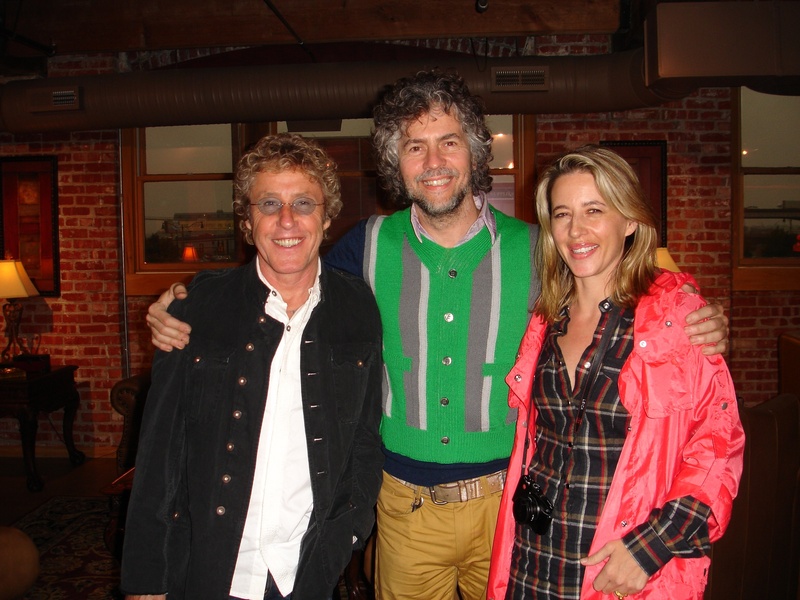 Daltrey is pictured above with Wayne and Michelle Coyne after his 2009 masterclass at the Lips-associated Academy of Contemporary Music. Grimes is speculated to sing “First Time Ever I Saw Your Face” with the Lips, filling in for the part Erykah Badu takes on Heady Fwends. K Money is presumed to join the band for Fwends’ opener “2012 (You Must be Upgraded)” – which coincidentally has an underling rhythm a bit similar to “Magic Bus” (via Bo Diddley). Read about her recent ambition to “resurrect rock and roll” (under the spell of Iggy Pop) here; watch the Lips rehearsing “2012” last week for this show at 2:51 in the video at top of this page, or here; and watch them record the song with Ke$ha earlier this year below.